4 Oscar Barnett Dr, London, KY 40741 (MLS #1824794) :: Sarahsold Inc.
Prime Business Location..... within the CITY LIMITS of London, KY. This property is located just off I-75 at Exit #38, offering great area business density along the Hwy. 192 Bypass with the added benefit to potentially have 3 separate entries to the lot. 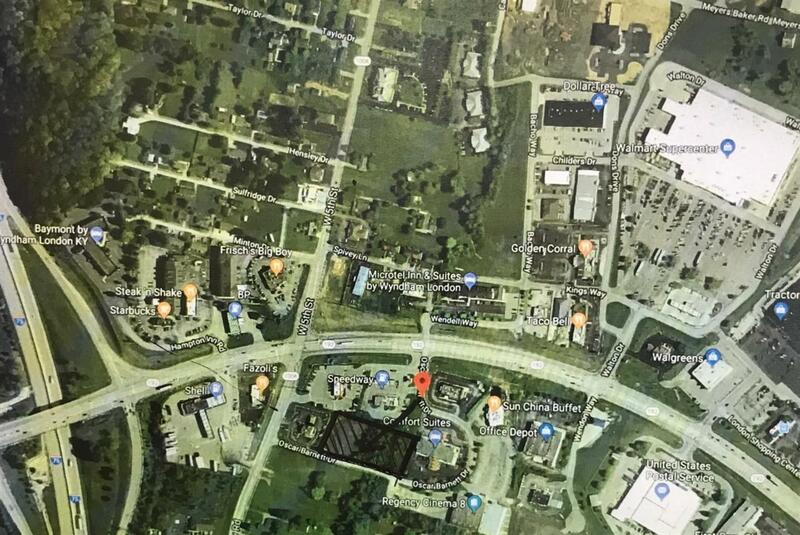 Numerous potential business uses for this highly visible 1.64 acre lot in what many consider the most sought after business area in the city of London. It's close proximity to I-75 offers tremendous visibility potential and the surrounding hotels, restaurants, and the busiest retail area in town make it the perfect location for a new business. Shown by appointment only, please call listing agent to schedule. Listing provided courtesy of Barbara Fitch of Re/Max Property Professionals. Listing information © 2019 LBAR Multiple Listing Service. All rights reserved.